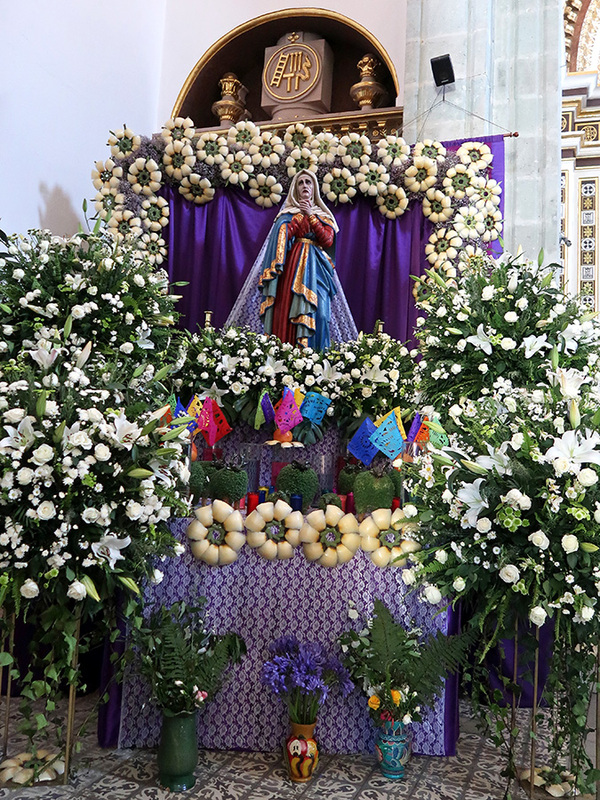 Today, the sixth Friday of Lent, Oaxaca honors la Virgen de Dolores (Our Lady of Sorrows). Altars dedicated to her can be found in churches, businesses, and homes. While the altars vary in their presentation, there are several key features (besides an image of the Virgin and candles) that will be found. 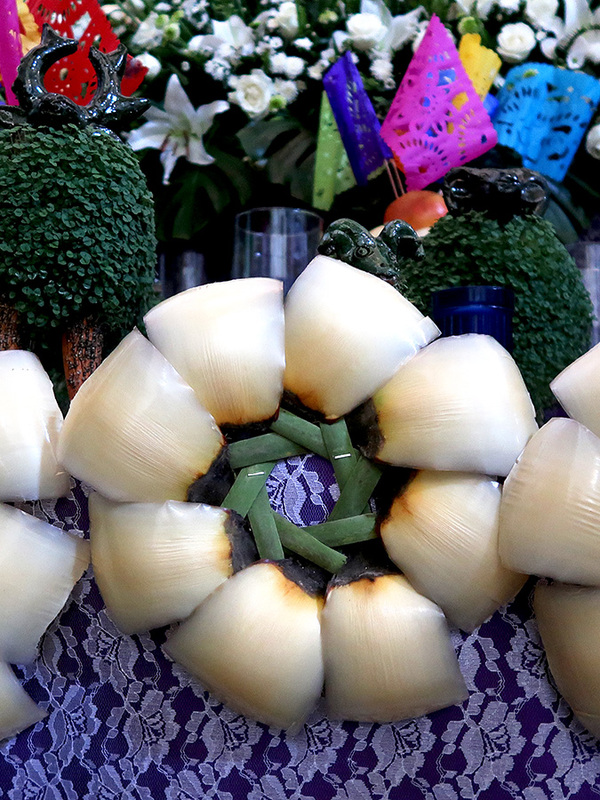 Wreaths of cucharilla (aka, Dasylirion, Sotol, desert spoon) — grown in Villa de Etla and the Mixtec region of Oaxaca — represent the crown of thorns of Jesus. Salvia Hispanica (aka, chia) sprouting from terracotta clay animals decorate altars — seeds which had been blessed on February 2, Día de la Candelaria (Candlemas). 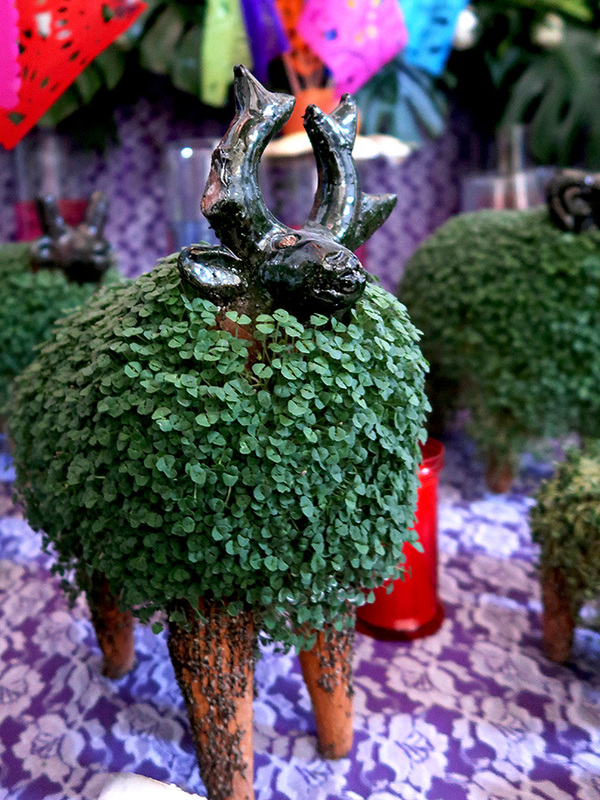 According to an article in MexConnect, “Growing greens remind the viewer of the resurrection and renewal of life.” Yes, these are the original Chia Pets! Bowls of water (often tinted) representing the “sweet tears of Mary” are set among violet colored drapes and flowers — violet being the color associated with Lent. 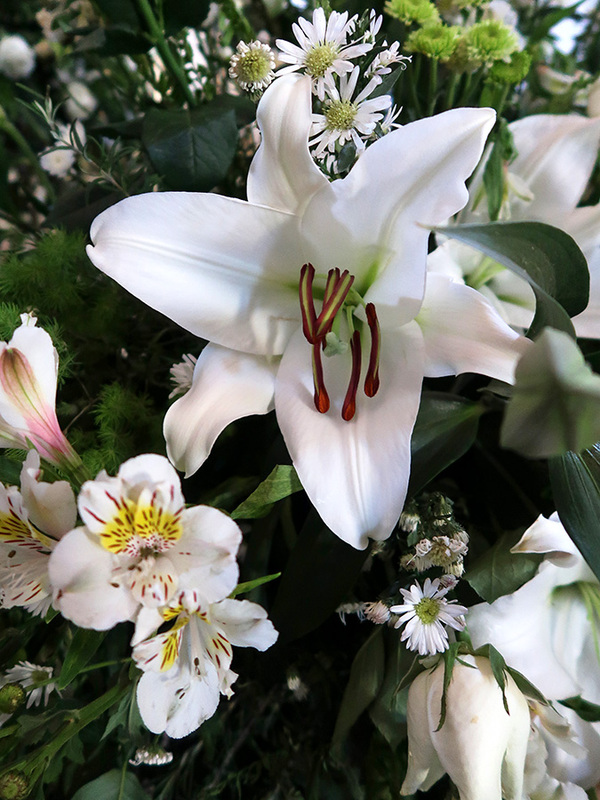 Lilies, representing purity and chamomile, representing humility and the beauty of body and soul, can be found on altars. 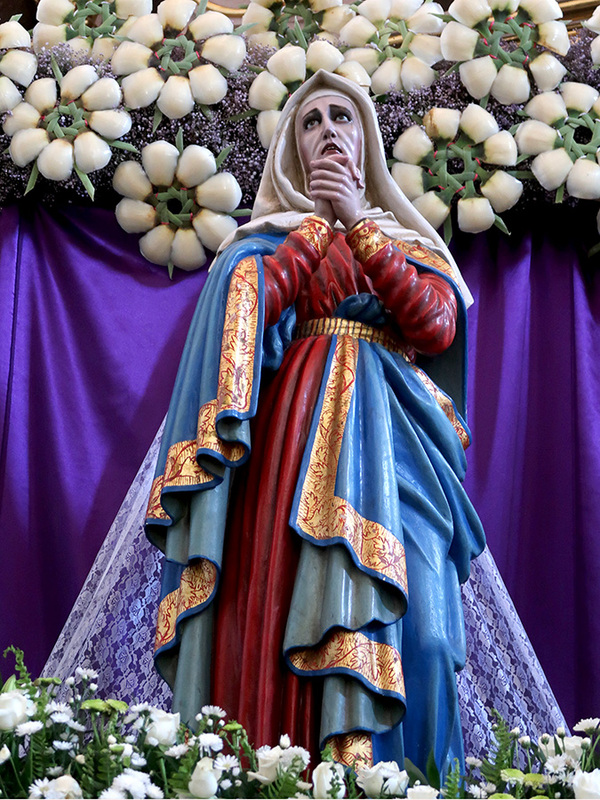 According to this article (in Spanish), altars to Our Lady of Sorrows started appearing in Oaxaca in the sixteenth century and her veneration on the sixth Friday of Lent grew from there. 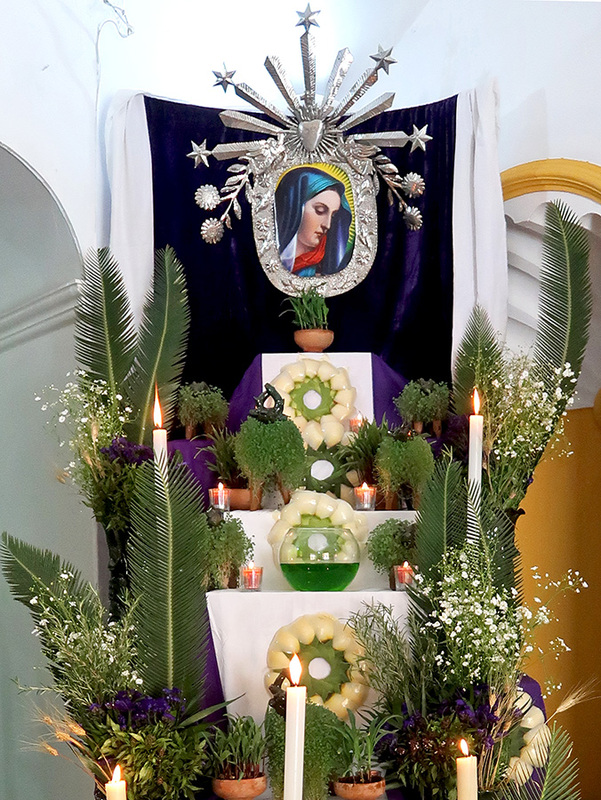 Tonight at Templo del Carmen Alto, there will be a reading of the “Vía Dolorosa” (Way of Sorrows), a concert of sacred music by the Coro de la Ciudad (City Chorus), and a tasting of regional Lenten food. Such is the beginning of Semana Santa (Holy Week) in Oaxaca!